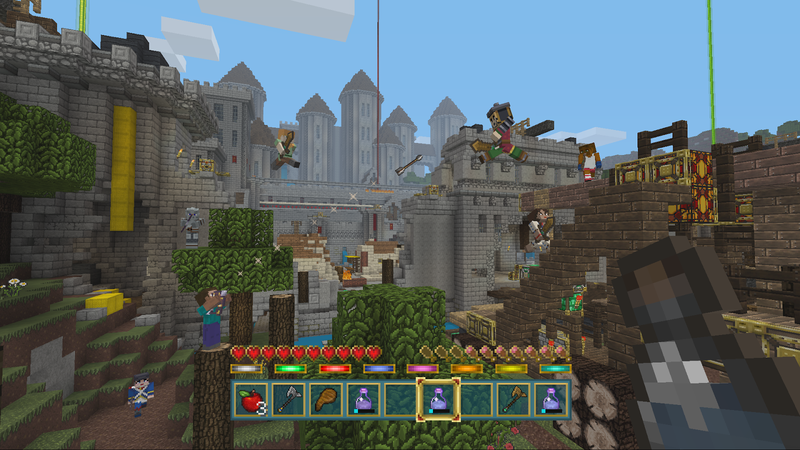 One of the more interesting additions to Minecraft on consoles lately was the new Battle Mode - an exclusive minigame that allowed for competitive battle multiplayer, much like modded Minecraft PC servers. It proved popular with players, so Mojang is releasing their second Battle Map Pack today for consoles! This pack includes three maps "created exclusively for the Battle mini-game", and that's pretty much it. Possibly not that exciting, but it only costs $2.99 USD. Still, if you're a fan of Battle Mode you will likely find this pack a welcome upgrade. You can grab it starting today from your console's online marketplace.